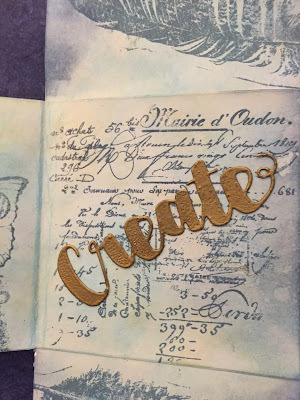 It is always sad to say goodbye to someone you have worked with for a long time...and one of those times has come along at Our Creative Corner...Kerstin's craft journey is evolving and she is moving on to new and wonderful things. We hope you will join us in wishing Kerstin much love, luck and happiness on her creative journey! Top Talent For Halloween Horror Challenge. Lynn was the very worthy winner chosen by Laura for Halloween Horror Challenge - she produced a wonderfully scary piece which wowed us all! I live in Connecticut, on the north east coast of the US. I hail from the American Southwest, though, and am planning to move to the north west coast to join my family when I retire from University teaching in a few years. 2. 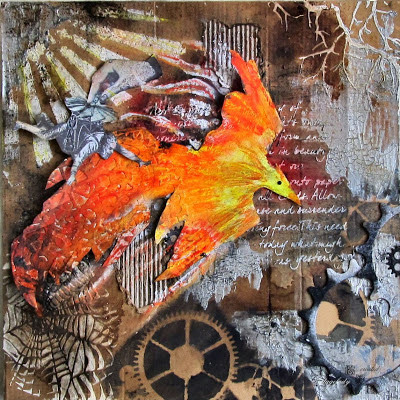 How would you describe your style of art? Eclectic. 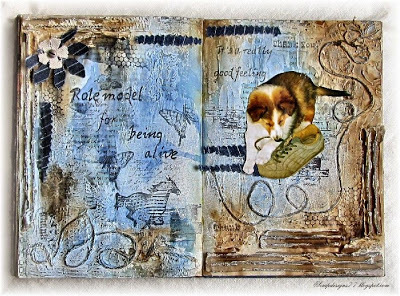 I have no formal training, but am drawn to many different styles - due to color, pattern, texture, emotional reaction..... so I dabble all over the place! 3. 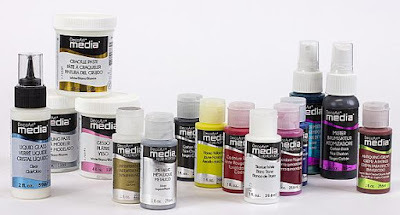 Which craft supply would you not want to be without? Well, given the state of my space (in my living room) I'd say I cannot do without any of them! 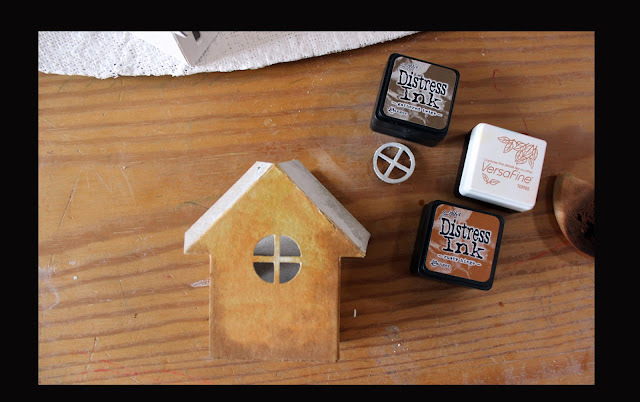 But probably paper and texture paste would be my go to.... and then need some color in there somehow! 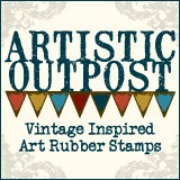 4. Who is your favorite stamp designer/manufacturer? This is hard to answer, as I also have a lot of stamps! I love PaperArtsy for the variety of designs and the fact that Lynne Perrella designs for them. I also love Penny Black's wonderful collection of nature stamps - things like trees and branches with incredible detail. 5. Name one artist/crafter who inspires you. 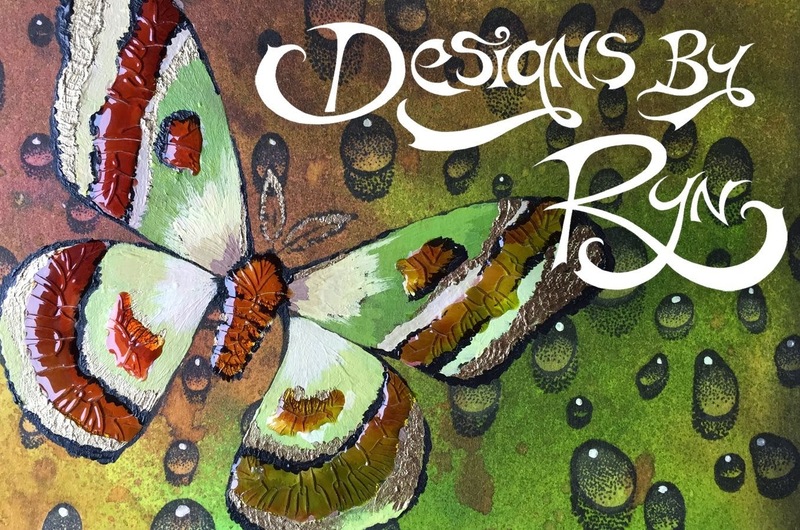 I am inspired by virtually everything I see in mixed media blog land - but in looking over my own blog the past year since I started, I call out Alison Bomber, aka Butterfly, frequently. I could also name Andy Skinner, Lynne Perrella, Brenda Brown (who got me doing this regularly with her Visual Journal series this year), Pamellia Johnson, Anne Redfern, Lynne Moncrieff, Linda Coughlin, Astrid Maclean, Diana Taylor, Sara Barker.....there are a lot of talented people out there! 6. Do you have a specific goal that you would like to achieve with your art? When I make a piece, I strive to please myself first. Many times I doubt, as my style is all over the place, and often not what I see others doing. 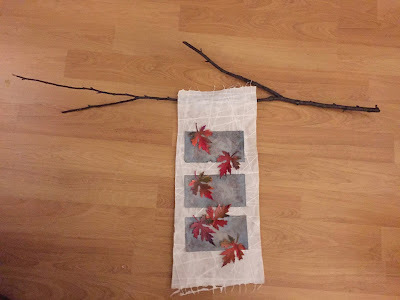 I came to mixed media from art quilting, and have no background in card making or in scrap booking, plus I am pretty new to all of what is possible with paper and media...that is why my blog is called "Experiments in Paper" - I truly am learning as I go! Lynn, it's always so interesting reading about our guests and you are no exception! I too am a huge Lynne Perrella fan and you have named some truly inspiring artists in your answer to question 5. I imagine that many of will identify with your answer to question 6: 'Many times I doubt. . . . . . . ' this sounds so familiar to me!! 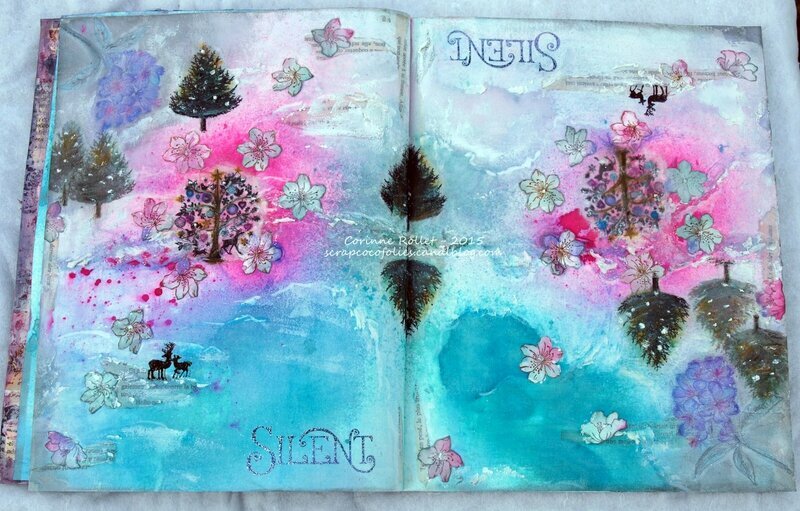 What a lovely journal Lynn and such a good idea for the coming new year. I love the splash of colour on the band which holds the journal closed. 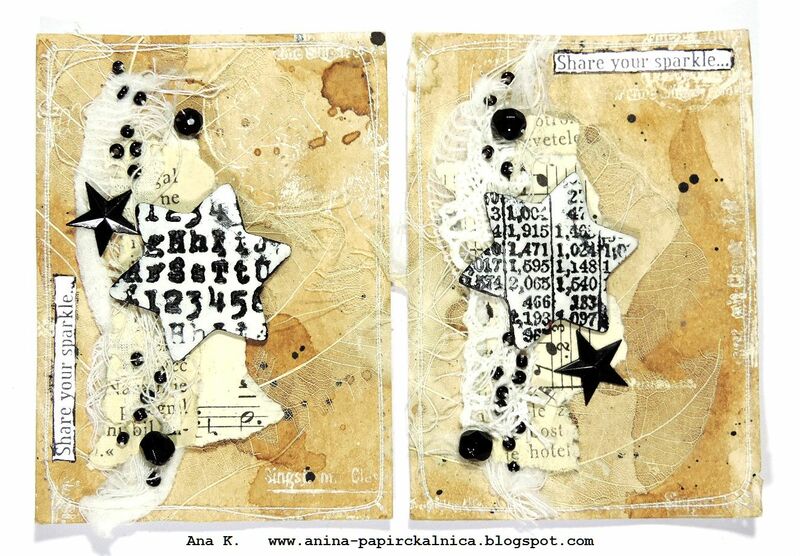 The gorgeous stamping inside is wonderfully grungy/distressed - right up my street! Thank you so much Lynn for joining us today and sharing your art. 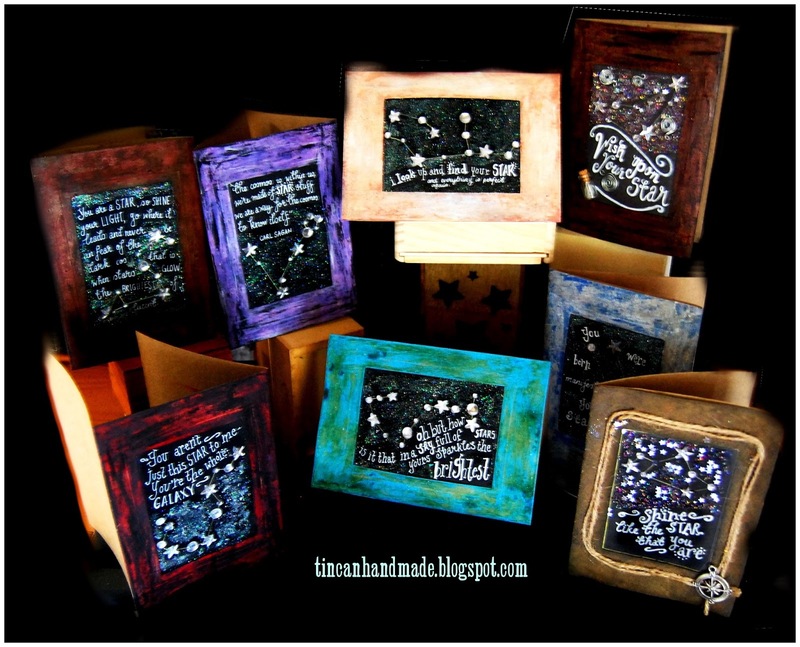 I do hope people will find time to pop over to see Lynn at Experiments In Paper - you won't be disappointed! That's the last Top Talent for 2015 but I'll be back in January with the winner of our November challenge so don't forget to join us on the 22nd January 2016 - seems strange writing that now! Our December challenge is still up and running so if you find yourself with some free time (joke!!!) then why not put an entry together and link up with us. All the details can be found here. The challenge runs until Monday 28th December so there's still time! I would like to take this opportunity to thank all the lovely artists I've had contact with through the Top Talent spot over the last few months. It is a joy to communicate with like minded people and share their work and thoughts with you all. So there's just time to wish Merry Christmas to all who celebrate at this time of year and a happy, healthy and peaceful 2016 when it arrives. Hello, Hello, Hello!! 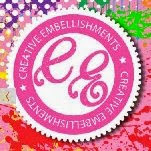 It's me Shari, with you today as the International Sponsorship Coordinator for Our Creative Corner and I'm soooo excited to be introducing the line-up of Challenge Sponsors that we will have in 2016. How AWESOME are these Sponsors?! We have returning Sponsors; Creative Embellishments, Tando Creative, Crafty Individuals and Designs by Ryn and new Sponsors; Darkroom Door, Artistic Outpost and Lost Coast Designs/Carmen's Veranda. Each month, we will have one of these Fabulous companies sponsoring our challenge with a generously donated prize or gift certificate that will be awarded to one of our randomly drawn challenge participants AND my fellow OCC DT-mates will showcase our monthly sponsor with our always popular Sponsor Spotlights. 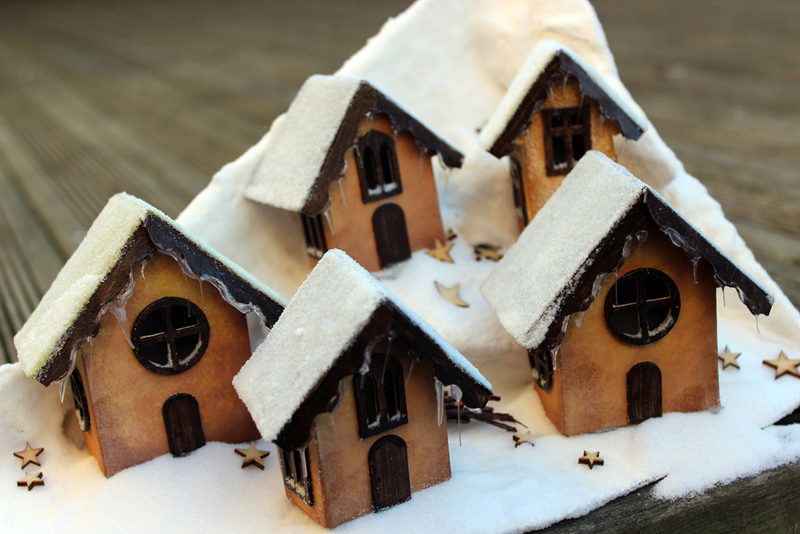 So, join us here at Our Creative Corner in 2016 to celebrate a whole New Year of Creativity, Inspiration and Fun! Our 2016 challenge year begins on January 1, 2016, so how about making a New Year's Resolution that would be easy to keep, and give your creative side a chance in 2016? We'd sure LOVE to have you join us for our monthly challenges and with this Spectacular line-up of Sponsors, it's a win-win situation any way you look at it! 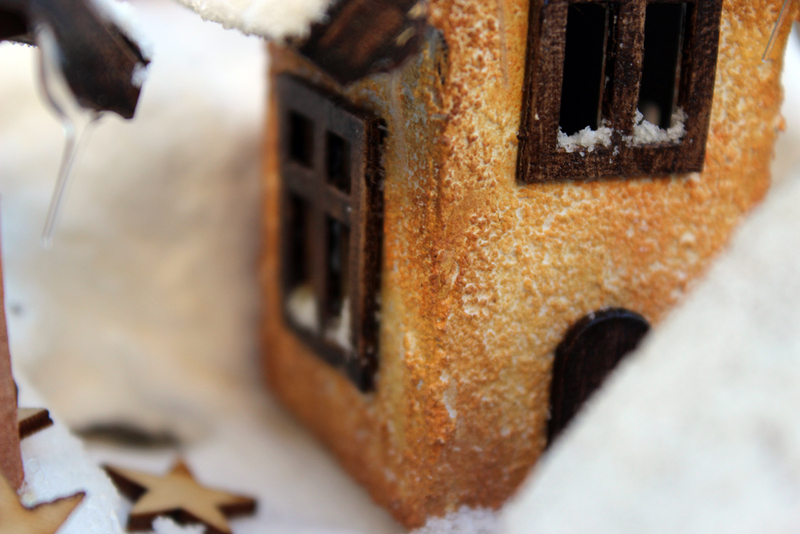 This house is the older one, with its rustic walls. 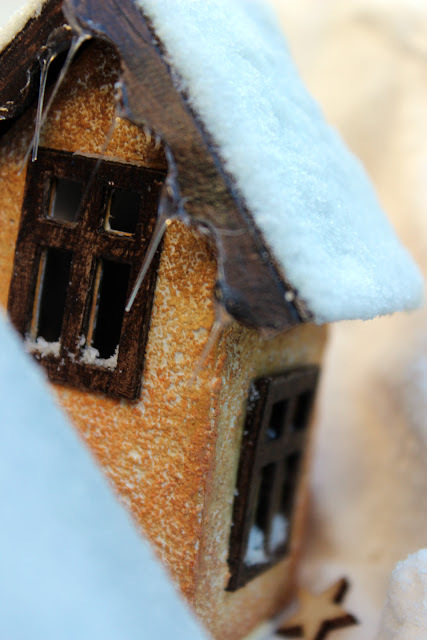 Yesterday the sun was shining, so the previous snow melted along the roof, but the cold night froze everything. I covered the corner base with the plaster strips and let dry. 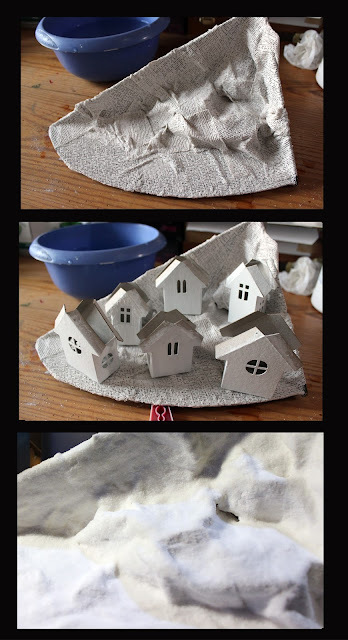 I painted all the cardboard elements with gesso, and painted the doors ,windows and roofs with brown acrylic paint. 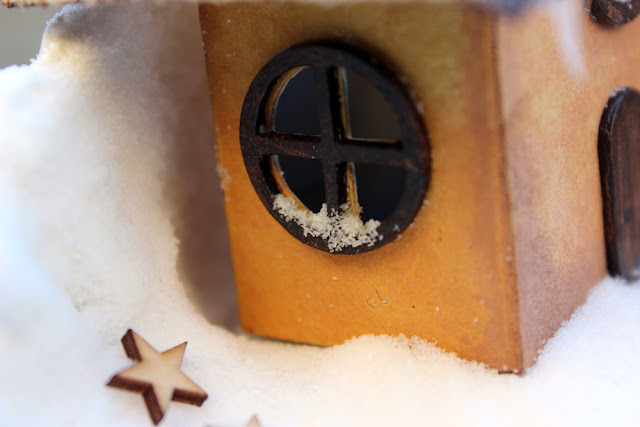 I covered the base with snow... can you guess what I used for that? And I inked the houses walls with different inks in a brown palette (the oldest house had a coat of structure paste before). I also added wooden stars to my village, staying in tune with Trish's challenge, "Wish upon a star": you have still time to enter, and have a chance to win! 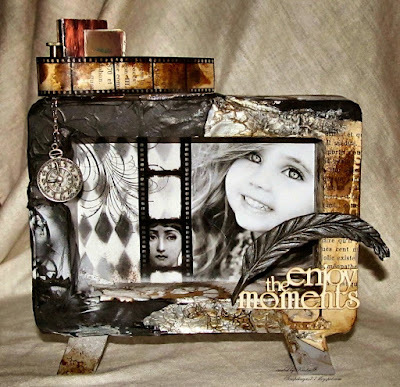 Tando Creative provides so many different kits like this one, that you will certainly find the way to express your creativity. Tando Creative supply a very extensive and VERY wonderful (!) range of chipboard. Embellishments, kits, 3D assemblage substrates, you name it, they sell it! 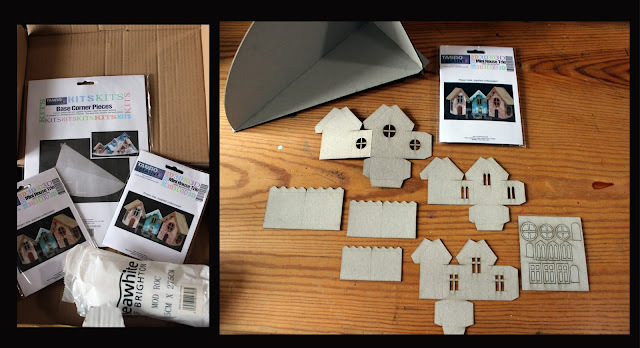 The kits are so easy to work with, and so versatile! The kits are wonderful to use as frames as they are nice and deep..
And also used another star along with a word sticker as my title! I hope you like her... and by a very strange coincidence (!) she just happens to fit in rather well with this months challenge theme! 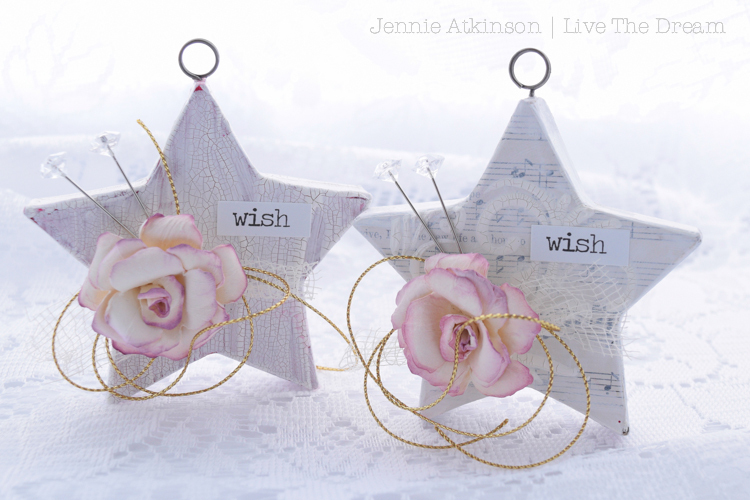 Don't forget to enter all your 'Wish Upon A Star' themed projects before the challenge closes on 28th December.... and you could win a mystery bundle of Tando Creative goodies! Our challenge can be found HERE. Hi everyone ! Lys here, back to announce the winners of my « Topsy Turvy » challenge. 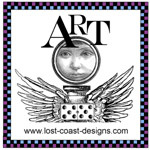 But first, who is the random winner of this fabulous prize donated by our sponsor Decoart? Congratulations Joi! Please email us and we will get your prize delivered to you! 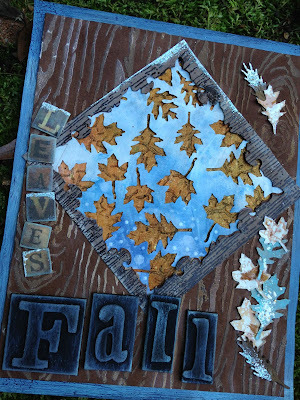 Have fun with all those wonderful Decoart treats! “A card gone haiku” is a rich adventure full of emotions, new ways of experiment, poetry, with richness and simplicity in the same creation. Congratulations, Lynn, we will see you soon in a Top Talent Spotlight with us here at Our Creative Corner! 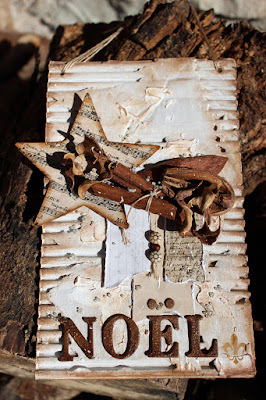 I love the amount of original techniques used (like the negative dimension) and the happy accidents that led Sara to this wonderful card. 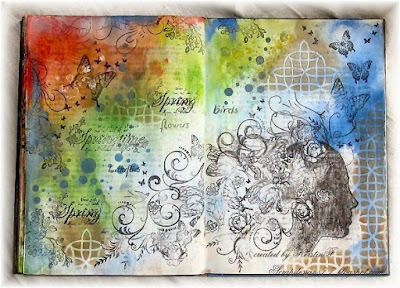 She created art journal pages which make your head spin! And I loved the mirror effect. 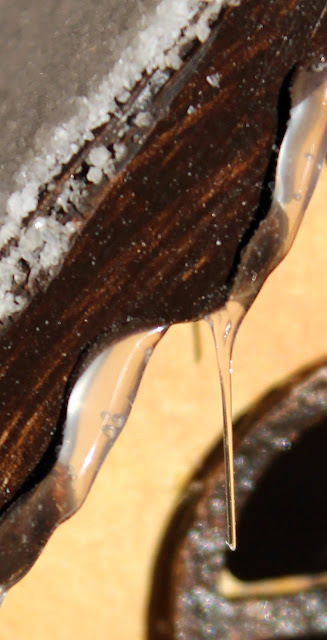 Senna recycled a broken glass and made not only such an original creation with it, but also found a new function for it! Lynn, Sara Emily, Corinne and Senna, congratulations! I will soon send you your blog badges! We hope you wear them with pride. 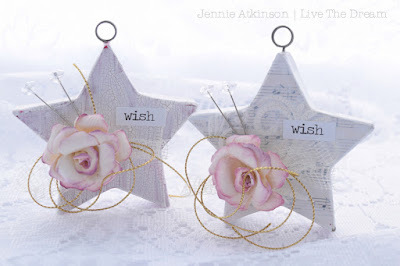 Come and join us for our current December challenge, "Wish upon a star", hosted by our wonderful teammate Trish, and get the chance to win our Tando Creative prize, or to be Trish’s winner or Top 3! Welcome back to a new month here at Our Creative Corner. 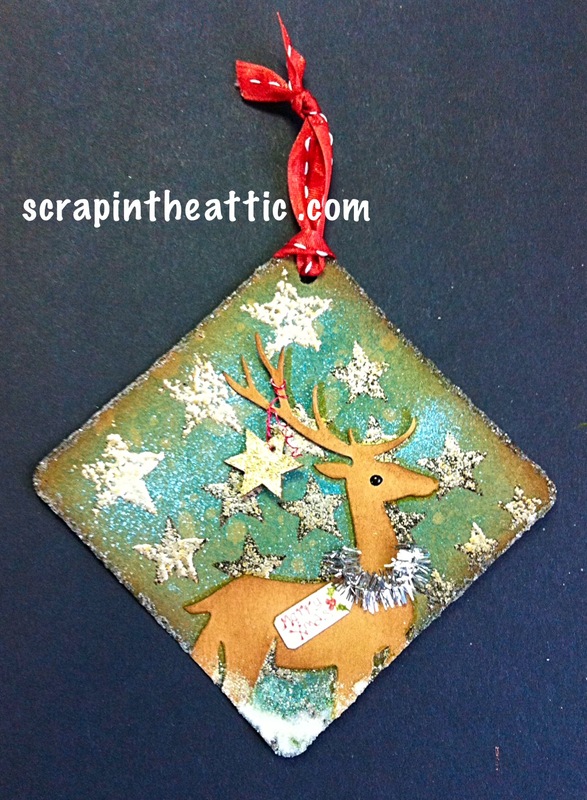 Trish here with the brand new December challenge! Thanks so much to all who took part last months 'Topsy Turvy' challenge- Lys will be here in the 4th with her winners post! Don't miss it! you know about this months Sponsor. 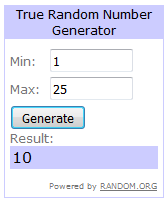 Tando will be sending our Random.org winner a surprise bundle of goodies! I would love for you all to share your creations, full of stars! 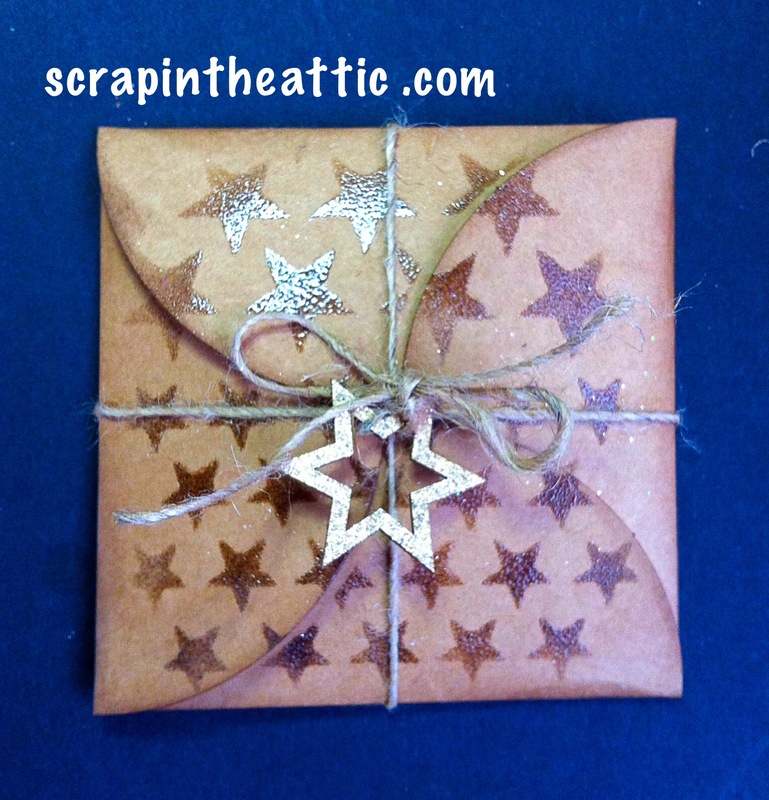 Star stamps, star die cuts, star embellishments, star shaped backgrounds, it's up to you! 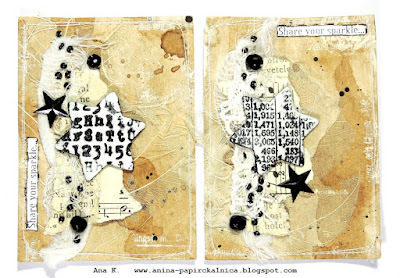 Use lots, or just the one, as long as there is a star somewhere, you're good to go! I can't wait to see all your wonderful creations! My whimsy girl is standing amongst the shining stars in the night sky! 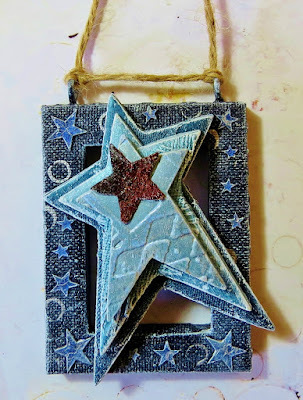 Stars are one of my favorite shapes and I especially love star shaped ornaments. 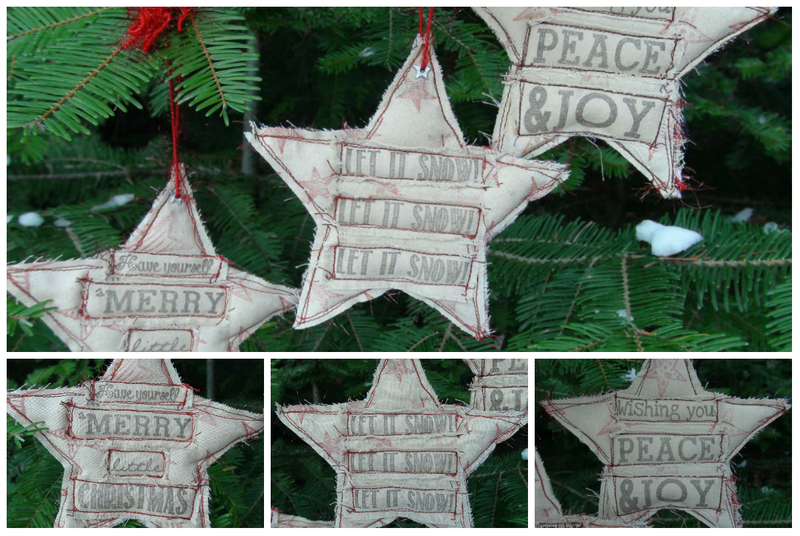 rough machine stitching to lend a truly rustic feel to these ornaments. stars (i.e their Zodiac sign) to the star who deserves it. and put them in special envelopes. made two star Christmas decorations. I've gone completely starry for my little hanger. 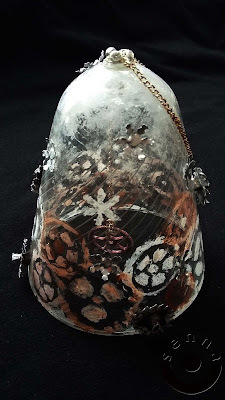 Lots of shimmery silver acrylic and dry brushed gesso. A touch of crackle finishes the piece for me! ...and I think I used more than a few! and light: this is my wish for my little star. Wow! I think my teamies have come up with some amazing art! I hope you have gained a little inspiration, and would like to play along with us this month. I can't wait to see all the entries! Don't forget, we have a random winner who will receive our wonderful sponsor prize, as well as our chosen winner who will be invited to be a Top Talent on the blog.... will it be you? !